Former Brockenhurst College student Hayley Davis finished in 55th position at the France Open golf tournament last week. 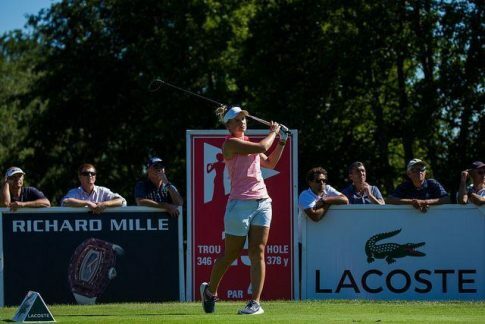 The Poole-born golfer, who studied Sport at Brock, fired a three-over-par 74 on day three at Golf Du Medoc near Bordeaux, before adding a level-par 71 to finish. That placed her on three over for the tournament. Mum Samantha was close-by to provide moral support, having taken-on caddying duties. Hayley, who trains at Ferndown Golf Club, has achieved five top-ten finishes in the LET Access Series, which is the feeder circuit for the Ladies’ European Tour..